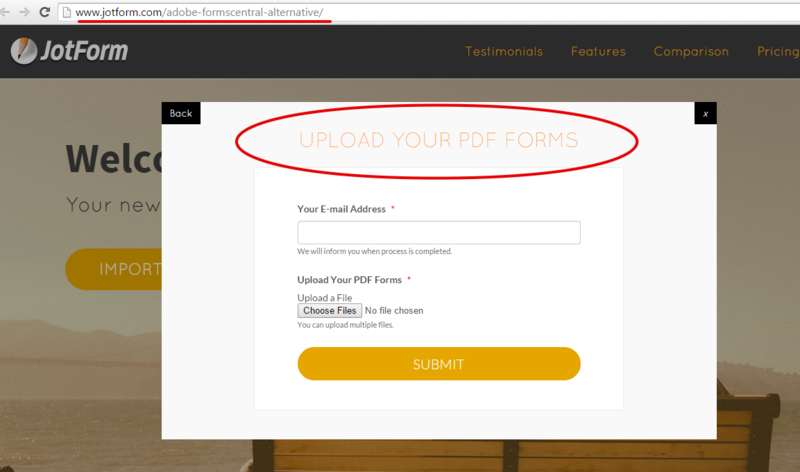 How to upload PDF forms to JotForm? A great step in the right direction! When you've figured out one additional option, you'll be good to go from my perspective. Now I'm wondering how to upload PDF to Jotform which I created on my computer rather than use your form builder. Thanks for helping with this transition from Adobe. 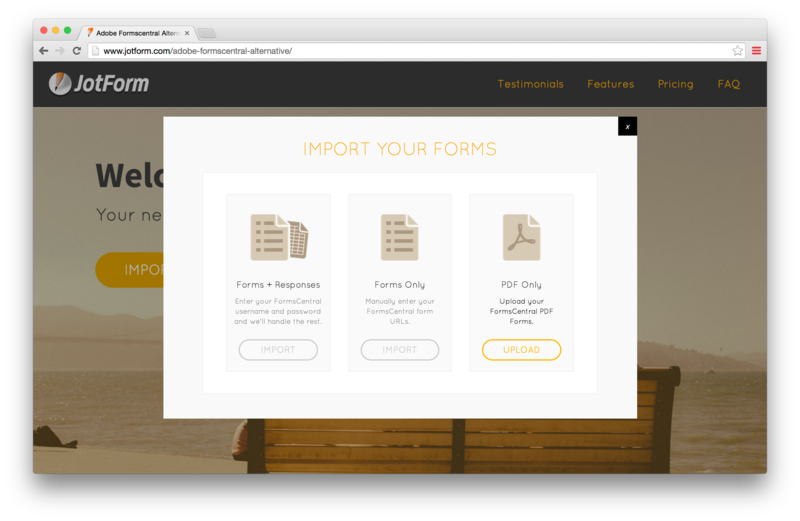 I had tried the import feature a few weeks ago and only had the option to import from FormsCentral. I just went back to the import page and noted I can now UPLOAD a form I created on my computer to JotForm. I just uploaded one and we'll see if it makes it after the transition period. THANK YOU!! I'm glad you find it helpful. Our developers are continuously adding and looking for different features that would help our users better. Please do let us know if the uploaded PDF form was successful in your end. If you have other concerns or questions, do not hesitate to create a new thread here in the forum, we'll be more than happy to help. I have used the import the pdf form option. I got a lovely message telling me it would take a few days!! and that I would get an e-mail telling me when the form was ready. I click on the download pdf option and was asked if i wanted an automatic collection of submissions or manual collection. 1. why do i need to download a pdf form that I have already uploaded from my computer? Is there some magical thing that has happened that made this pdf form different to what I uploaded? 2. why can i not see the uploaded form in jotforms? 3. why is the jotforms output not using the title of the form that was uploaded? can someone please make this process work well and easily? I still don't see the computer-created form that I uploaded last week as a test. Is it located somewhere else than in "my forms"? I just checked your account for any imported/uploaded PDF forms, but I currently could not find one at the moment. I am not sure if you have indeed uploaded the PDF form yet. Use the Import Forms button on the screen. Then check again if it is successful this time. Good morning. I just tried to upload my company employment app form again and it showed up immediately this time in my forms list. :) It doesn't look like my form, but I think all of the data fields are there. I'll give it awhile to see if things change with it. THANK YOU!! Please don't hesitate to contact us again anytime should you need further assistance. it's there but is not editable and does not show a URL or allow me to view submissions. It appears I can rename it. Can I do that? Thanks again; we're getting there. This option appears to have disappeared after the forms central deadline. I have pdf's on my computer that I would like to upload. How do I do that? 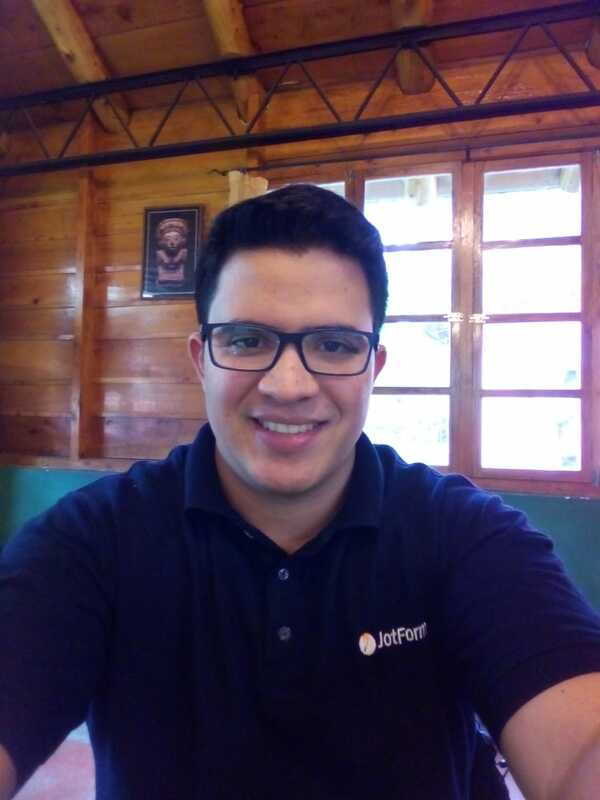 For us to better assist you, I went ahead an opened a separate thread for your concern, please refer to this link instead: http://www.jotform.com/answers/644886. We will address it shortly. Simply reply to this email.